Welcome to the Homewood Suites by Hilton, closest Homewood Suites to Universal Studios Theme Parks. You will enjoy our brand new spacious home-like suites with separate living and sleeping areas. 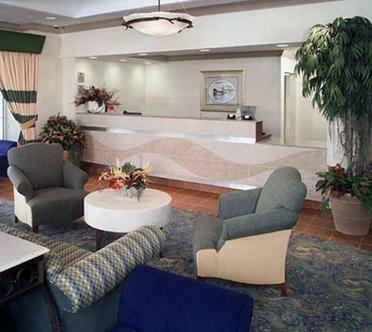 The hotel offers many amenities to accommodate the business and leisure traveler and families. We offer a daily complimentary hot breakfast buffet, evening manager's reception with complimentary beer and wine two hours nightly Monday through Thursday. Guest service/Theme Park attraction ticket kiosk in our lobby. Complimentary transportation to the hotel ''from'' the Orlando International Airport. (Reservations must be made in advance, please call the hotel directly for further information). Complimentary roundtrip transportation to Universal Studios, Sea World, and Wet & Wild. (Reservations required, please call hotel directly for further information). Complimentary business center, high-speed internet access, exercise facility, game room, outdoor pool, sports court, BBQ grills, suite shop, meeting space and much more. We are easily accessible to all major thoroughfares. Located just off I-4 and in the heart of International Drive. Variety shops, restaurants, entertainment recreation are within walking distance.